Are College Tuition Guarantees the Answer? It is a generally understood axiom in higher education that the sticker price or retail price of college is not what you will pay. For students and parents this can seem a bit confusing, frustrating, and perplexing. With some recent hype about free college tuition programs we will dive into two such programs to help you make sense of the programs being offered. The two free college tuition programs we dive into are for the University of Michigan’s Go Blue Guarantee and the New York Free Tuition Program. 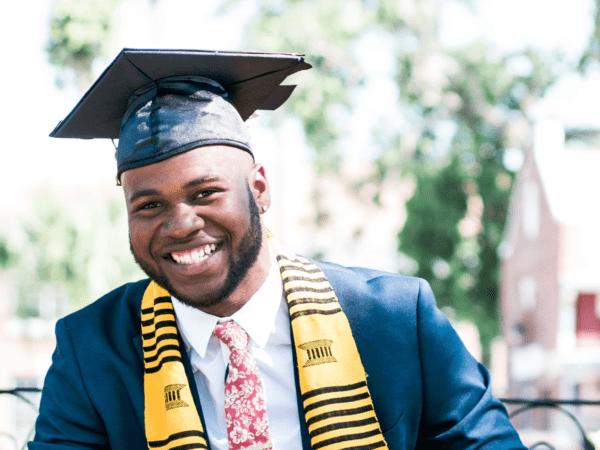 The University of Michigan’s Go Blue Guarantee is a program modeled after the HAIL Scholarship to attract high-achieving, low income students to their college programs. Go Blue Guarantee is offering in-state students with a household income of less than $65,000 free tuition at the University of Michigan for four years beginning January 2018. The power of FREE. Understanding that the HAIL Scholarship and the Go Blue Free Tuition Guarantee program were virtually the same program yet something fascinating happened with college applications from lower income students. Fully 2.5 fold more students applied to the UM program when the verbiage changed from scholarship to free tuition. Yet the financial aid packages were basically the same. Was intelligent marketing or hype behind the shift? Let’s unpack this a bit further by diving into some data about the University of Michigan. The average annual tuition for in-state students in Michigan is $14,401. The data reveals the average grant aid and scholarship for students with a household income of less than $75,000 exceeds in-state tuition. The University of Michigan provided over $6.3 billion of aid and scholarships for the school year ending August 2015 which represents an increase of nearly 6.5% over a twenty-four month span. Conversely, tuition has remained relatively flat at the university leading one to believe tuition is less of a driver of the cost of higher education than previously understood. The free tuition program we are looking at for low income students may be in fact a shift from increasing tuition to reducing financial aid or in business terms retaining a steady gross income while reducing overall discounts. Next, let’s take a look at the New York free tuition program. The State of New York spends about $1 billion on college financial assistance every year. This year, the state of New York rolled out a free tuition program. The free tuition program at CUNY and SUNY schools are for students with a household gross adjusted income of less than $100,000 in 2017 bumping to $110,000 in 2018 with no age limit for applicants. Students must be a U.S. citizen, permanent resident, or refugee legally authorized to be in the United States to be qualified for the free tuition program. Also, students in NY must be enrolled full-time and take at least 30 credits a year to remain eligible. After graduation, students live in NY and work in NY for at least four years or be forced to pay back all monies from the program. Average tuition at a 4-year school in NY (CUNY and SUNY) is $6,470 and $4,350 at community colleges in NY. Students still need to pay for room, board, fees, and books. SUNY school averages: $12,590 for room and board, around $1,000 for books, and $1,590 for fees totaling $14,180 for free education. The total federal and state grant aid and scholarship aid average in 2015 of $9,092 exceeds the CUNY and SUNY average of $6,470. In other words, free tuition was offset by a reduction in scholarship and grant aid. Is Free College Tuition Really Free? Free tuition programs may be beneficial to students and parents to get off the fence and enroll in college but read the fine print carefully. Free tuition may end up costing you a bit more than traditional scholarship and grant aid programs that still dominate the marketplace. As such, take the time to carefully analyze programs that are best for you and determine which is the best value for your time and resources before committing to a college or degree program.